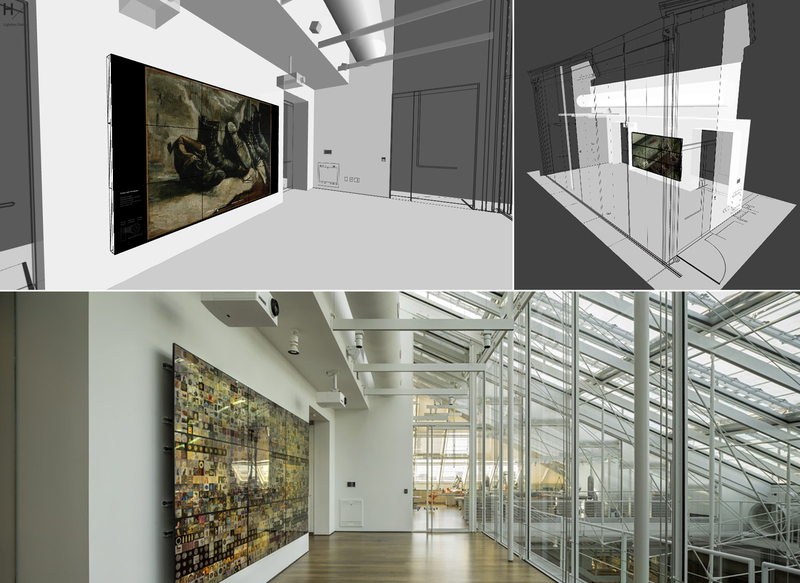 Virtual Lightbox Gallery is a collaboration tool for Harvard Art Museums to inspire collaborators and overcome the challenges in project development at Lightbox Gallery. The interactive 3D web app serves as a platform for both remote and local collaborators to view and test their digital projects in the virtual gallery by entering a URL. 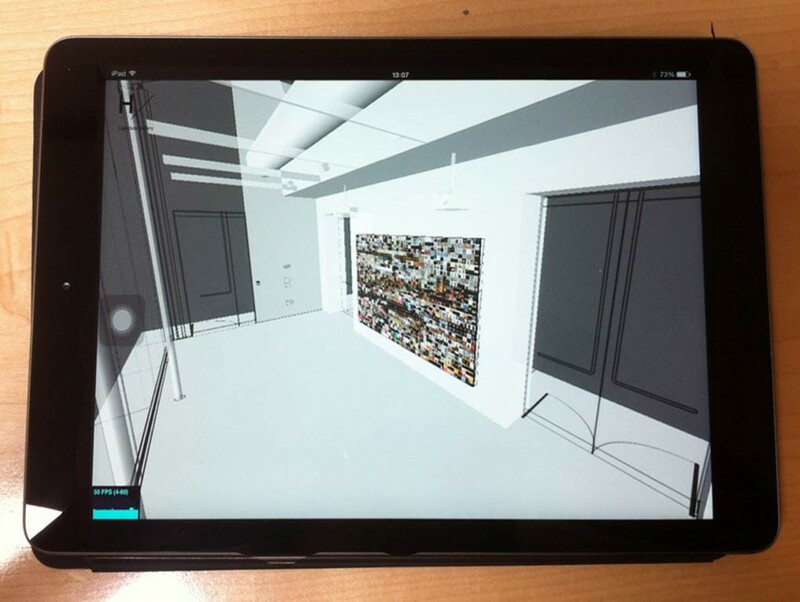 The app also provides 12 sample projects and allows users to explore and interact in order to gain deeper understanding of the abilities and possibilities of Lightbox Gallery. Lightbox Gallery is a new digital technology-based gallery in Harvard Art Museums. It is built as an open-ended platform and targets a variety of uses such as presenting digital artworks, supporting collaborative projects, and hosting experimental courses. Although the gallery is equipped with various cutting-edge technology infrastructure and features infinite possibilities, the open-ended setting often confuses people and creates a barrier in collaboration and imagining the space. In order to let project collaborators learn more about the capabilities and possible uses of Lightbox Gallery, the Technology Fellow and Director of Digital Infrastructure and Emerging Technology in Harvard Art Museums worked together to build the Virtual Lightbox Gallery web app in August 2015. It utilizes Web 3D technologies to provide users the look and feel of the Gallery, as well as featured digital installations in a 3D space. 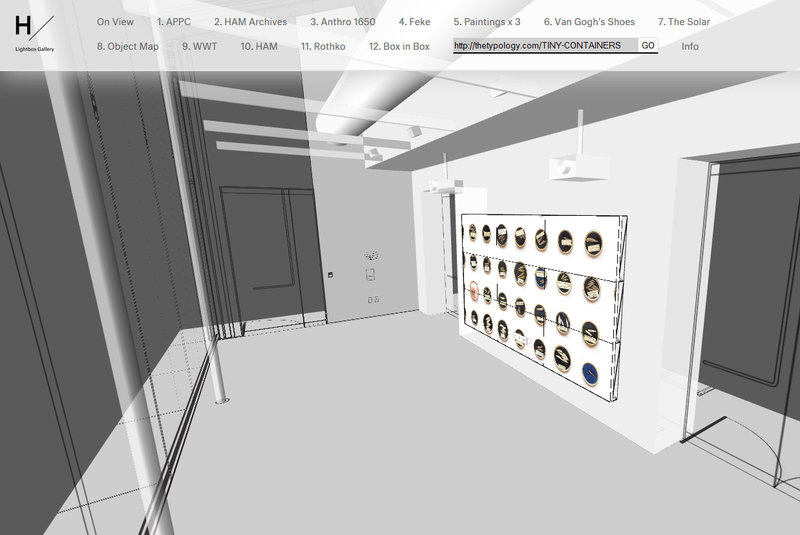 Collaborators not only can select and view various Lightbox projects, but also interact with the selected projects on the virtual video wall just like they do in the physical gallery. Over the past six months, the Virtual Lightbox Gallery has been the official project demonstration platform and project development tool for fourteen projects with collaborators ranging from curators, conservators, archivists, program developers, artists, photographers, design firms, faculty/students, and astrophysics across and beyond the Museums’ community. Virtual Lightbox Gallery is a completely in-house developed web app. The Technology Fellow at Harvard Art Museums updates new projects and modifies the content of the web app based on projects’ needs. The app is programmed for easy maintenance. Staffs with basic HTML5 knowledge can upload new contents and manage the included projects in the menu. Note: Using Chrome or Firefox to explore the web app is suggested. The web app may not work on computers/laptops without graphic cards/drivers supporting WebGL.